Sushmita Sen: Finally watched #Talvar not only great cinema...d reality of it is haunting! God bless u @meghnagulzar outdone urself!! #salute love u! 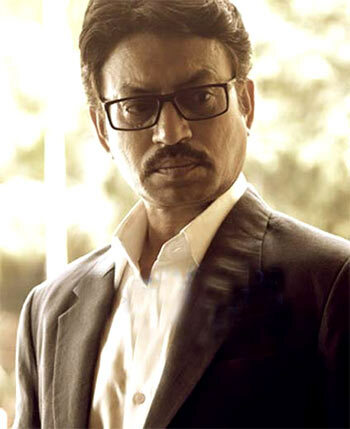 My respect to all the actors n team of #Talvar and a special mention of immense admiration for #IrfanKhan ..What brilliance!!! Bravo!!! Neil Nitin Mukesh: Meghna Gulzar slices through with TALVAR. @HoneyTrehan u have set a bnchmark yet again, vishal bharadwaj sir less we say the more it is respect. Richa Chadha: If anyone,is guilty.N how prolific, effortless is@irrfan_k? Delighted that it was a full house. Punit Malhotra: Hats off to Meghna Gulzar & team for making this one. RESPECT! It's easily one of the most hard hitting & well told stories ever! #talwar. Pls go watch the film to see how our minds were corrupted, what the actual truth is. You'll see the case in a whole new light. What's happening with the Talwars's is pure injustice. Losing a child and then going through this trauma is beyond imaginable. Priyanka Chopra may be away in the US making waves with her show Quantico, her actress cousin Parineeti Chopra took to Twitter let us know just how she is in awe of her cousin. 'There is a new benchmark set for all of us. Why do you make us work so hard!!!! Huh??? Hahahah. Muuuahhhhhhh,' she added. What is Anushka Sharma doing in Austria? After shooting schedules in London and Paris, the cast abd crew of Karan Johar's Ae Dil Hai Mushkil has travelled to Austria. KJo's Bombay Velvet costar Ranbir Kapoor plays the male lead while Aishwarya Rai Bachchan stars in a significant role. Sanjay Gupta has just completed post production work on his Ash starrer Jazbaa. A remake of 2007 South Korean film Seven Days, Jazbaa releases October 9. National Award-winning director Hansal Mehta's new film Aligarh was screened at the ongoing 20th Busan International Film Festival. Set in the small town of Uttar Pradesh and based on true events, the film revolves around Dr Shrinivas Ramchandra Siras who taught Marathi at the Aligarh Muslim University. It stars Manoj Bajpayee and Rajkummar Rao in lead roles. Also chosen as the opening film for the upcoming Jio MAMI Mumbai Film Festival on October 30, it will have another screening at the 59th BFI London Film Festival later this month. 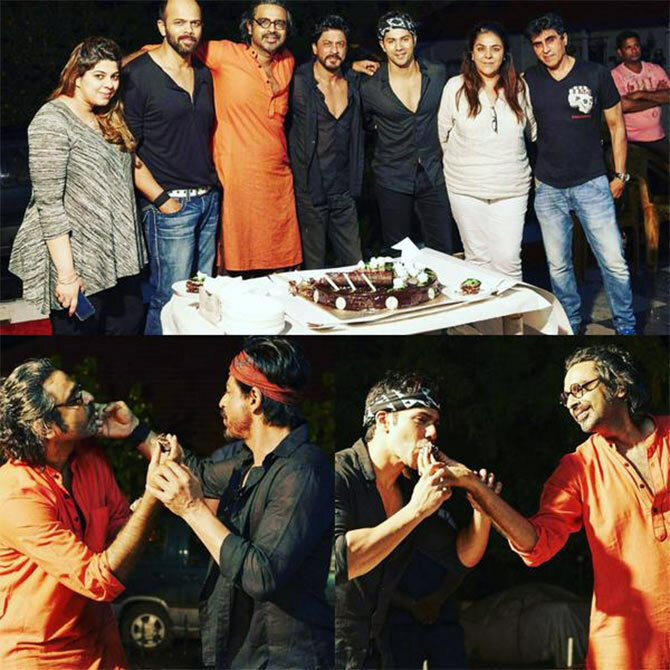 Celebrity photographer Avinash Gowariker, who is currently shooting for Rohit Shetty's upcoming film Dilwale in Hyderabad, celebrated his birthday on the sets. The film will release on December 18. Aditi Rao Hydari's day out! 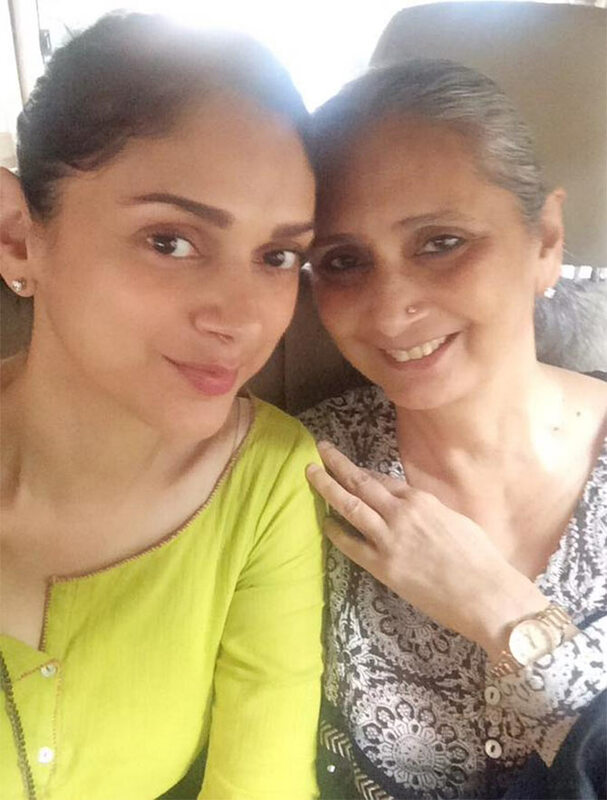 Actress Aditi Rao Hydari spent the weekend with her mother Vidya Rao. Aditi will be next seen in the upcoming comedy The Legend of Michael Mishra. How can there be peace if Pakistan uses terror against us?